Paul Hansen, multi-award winner and one of the world’s most respected photojournalists, is currently at Fotografiska as part of the Fotografiska For Life exhibition Hand to Hand. 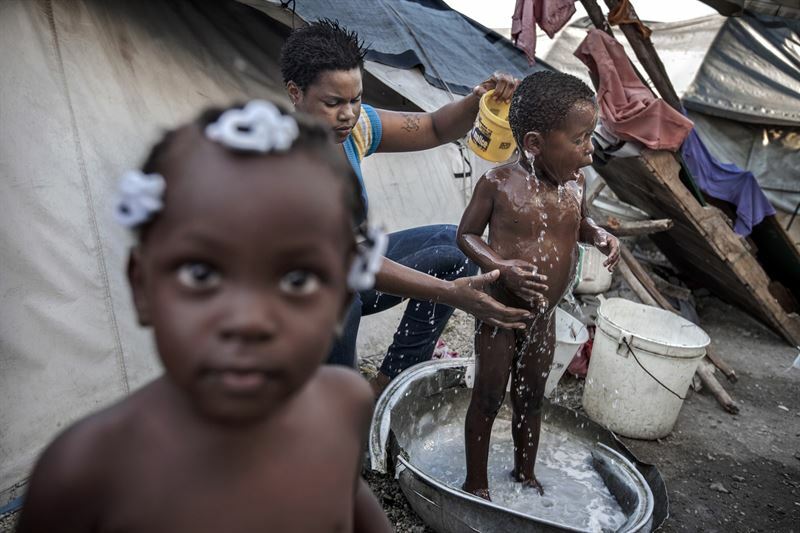 As always, these exhibitions highlight important social issues, and Paul Hansen is exhibiting photographic narratives from different parts of the world that all relate to the vital need for access to hygiene and water. The documentary photographer Åsa Sjöström has also followed a school in England as part of a large hygiene project to support children's personal hygiene and better toilet environments. Otto Cars, UN-expert and Senior Professor of Infectious Diseases has spent more than 20 years fighting multidrug resistance in Sweden and abroad. As part of this exhibition, he has contributed reflections on this vital subject. We are all connected. Whether we are walking hand in hand or turning to each other. We are dependent on each other – and each other’s opportunities for good health. It has and will always be like this. The connection between hygiene and health is becoming increasingly critical to life for a greater number of people. – The photographs are stories from around the world, including Sweden as well as developing countries, where we all – to varying degrees – face the same challenges. Whether it is about disinfecting your hands in a Swedish hospital or ensuring that people in vulnerable parts of the world have access to clean water,’ says Paul Hansen. The Fotografiska For Life-exhibition Hand to Hand 27 September – 25 november at Fotografiska, featuring Paul Hansen’s photographs and texts, shows powerful and unique stories related to these challenges. Documentary photographer Åsa Sjöström, who works in the same vein as Paul Hansen, has even followed a school in England. The school is part of a major initiative based on training children from a young age to understand the importance of personal hygiene, while also prioritising the actual toilet environment. In the western world, it is often so unpleasant that children avoiding going to the toilet, which has major consequences for their health. Essity is functioning as the coordinator of schools, parents, children and local authorities, as well as health experts. For instance, the dramatic increase in multidrug resistant bacteria at the moment has resulted in a silent shift in where we go in the post-penicillin era. This is an era few are familiar with. Diseases that we have been able to shake off easily thanks to antibiotics may pose a threat to life. The whole world faces major political challenges, and global leaders must take this threat seriously. In a British report published in 2017, Principal Investigator Jim O’Neill outlines that from 2050, ten million people will die annually from untreated diseases. If nothing is done. In this case, it is important that global awareness of the importance of good hygiene is increased. This means that everyone has to realise that everyone must contribute and change their behaviour to prevent the spread of disease. Whether it is multidrug resistant bacteria or cholera. – ‘I am passionate about showing how dependent we all are on each other, and this will become even clearer when the stories are told from a hygiene perspective. These images are not specific to any one country or nationality for the simple reason that diseases and bacteria know no borders. They can just as easily infect me or my child at a hospital in Sweden as anywhere else in the world. Using photography to also present social and political states of affairs around the world and raise debate is a worthwhile cause. People living far from us also deserve to live comfortably and peacefully, to be given the opportunity to enjoy a good life. In the end, it comes down to awareness of what's in our own interest. When other people are well, I feel good too. We are all part of the same planet. Take a self portrait from a long, long way away: you are taking a picture of the earth itself. These stories are about us and the spinning mass in space on which we find ourselves,’ says Paul Hansen. Otto Cars, Senior Professor of Infectious Diseases at Uppsala University has spent more than 20 years fighting multidrug resistance in Sweden and abroad. Since 2017, he has been one of the experts in the UN’s group on antibiotic resistance. As part of this exhibition, he has contributed reflections on this vital subject. Pauline Benthede, Exhibition Manager at Fotografiska, wants to emphasise the importance of using photography to spark debate. – ‘Fotografiska For Life exhibitions are always driven by our passion for highlighting crucial social issues through photography that would often otherwise be lost in the bigger picture. 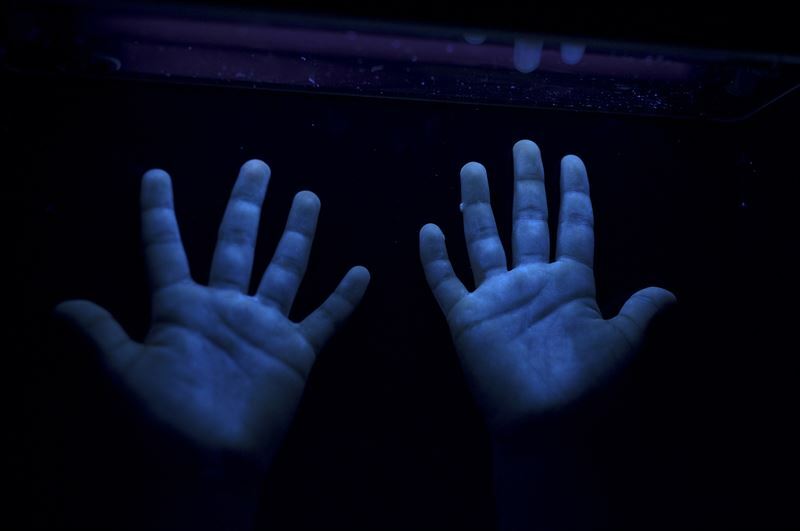 The fact that we are now able to positively influence development, for example by changing out behaviour and improving our hand hygiene, is shown clearly by this exhibition. The exhibition has been produced in partnership with the hygiene and health company Essity, allowing us to share their extensive expertise in the field,’ says Pauline Benthede. – 1,400 children in the world die every day of diarrhoea. One in three cases of diarrhoea that cause these deaths could be avoided if there was access to soap and water. – More and more people are increasingly concerned about hygiene and the potential negative impact on health that a lack of it may cause. ─ 67 per cent of people have avoided daily activities such as visiting a public toilet, using public transport or eating street food due to a fear of poor hygiene. ─ On average, 74 per cent of people believe they know what antibiotic resistance involves. This figure is 84 per cent in the United Kingdom and 64 per cent in France. Fewer people know that the most important tool in the battle against multidrug resistant bacteria is better hygiene.